Decades of excavation of an old abandoned building adjacent to an ancient museum in Jerusalem’s Old City have revealed what could be remains of the palace where Jesus was tried, The Washington Post reported. 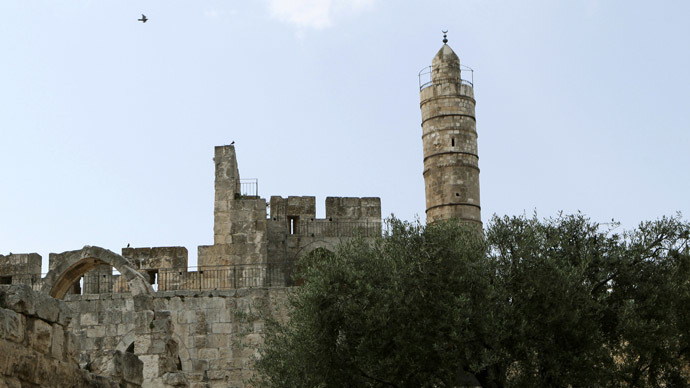 Within the framework of the expansion of the Tower of David Museum that started some 15 years ago, archeologists were peeling away layers under the floor of the Kishle, a building located beside the museum, when they eventually made an unexpected finding, the report says. The Kishle used to be a prison when the Ottoman Turks and then the British ruled Jerusalem. It is “a great part of the ancient puzzle of Jerusalem and shows the history of this city in a very unique and clear way," said Amit Re'em, a Jerusalem district archeologist. Under the prison, archaeologists found the foundation walls and an underground sewage system, which could belong to a palace built by Judea’s King Herod the Great. Christian spiritual leaders, historians and archeologists have been dragged into the debate over the site of Jesus’s trial as various interpretations of the Gospels promote contradicting versions of its location. According to the Christian scriptures, Jesus of Nazareth was brought before Pilate in the "praetorium," which is a general's tent within a Roman encampment in Latin. Some people thus refer to a military barracks, while others argue it could probably be the palace built by Herod, as Pilate would have been his guest. Shimon Gibson, an archeology professor at the University of North Carolina at Charlotte, supports the idea that the trial took place at Herod's palace. "There is, of course, no inscription stating it happened here, but everything — archeological, historical and gospel accounts — all falls into place and makes sense," Gibson said. Most scientists agree that Herod's palace was situated on the city's western side – where, in fact, the Tower of David Museum can now be found. The Tower of David is also known as the Jerusalem Citadel and is home to a museum that depicts 4,000 years of the city's history. Museum officials hope that the prison will became an attraction for Christian pilgrims, although they are skeptical that it could become a holy site anytime soon. "We will continue to develop the prison for visitors," said Eilat Lieber, the museum’s director. "It's like a cake – showing all the layers of Jerusalem." Over 1 million Christian pilgrims visit Jerusalem each year, and special tours have been organized in the museum to reveal the place, the Washington Post reported.